Imagine you could determine on the fly as you begin to engage with your customers, whether or not you should charge them 30% more than your typical customer. As ludicrous as this may sound, a lot of companies are doing it. It’s customer segmentation at its best. Orbitz.com evaluates the device type of web visitors and serves up more expensive properties to visitors on a Mac computer (source). Orbitz evaluated past transactions and discovered an interesting trend: Mac users spent upwards of 30% more than PC users on vacation packages. This how-to guide will briefly discuss how you can increase purchase revenue by segmenting your customers, and then provide four steps you can follow to establish your own customer segmentation and resulting strategies. How can segmenting customers increase purchase revenue? Is it bad for the customer? Am I violating their privacy? The example of how Orbitz suggests properties that are higher scale for Mac users is a great example. Orbitz realized Mac users tended to want higher end properties more, so by serving up higher end properties before Mac users even requested them they were saving the site visitors time and providing them with what they want before they wanted it. For Orbitz, it ensured that their customers who were more likely to spend more on a hotel were given the opportunity more quickly. Win win for both. Increased purchase revenue for Orbitz. Install Google Analytics. Google Analytics is a free tool that will give you powerful insight into how people are getting to your site, and for the purpose of customer segmentation who your site visitors are. Analytics is an easy tool – point and click so that there is no steep learning curve. There are also several reports that Analytics has out of the box that helps you see some demographic details for your site visitors: age, gender, interests. Here is a more detailed guide on GA’s demographic profiling. Install Quantcast. This is another free tool, and while not as full-featured as Google Analytics for everyday site analytical data, it’s far more powerful for demographic profiling. Quantcast provides the demographic profiling tool for free in hopes that you’ll use them for advertising though it’s unlikely they’ll even call you to sell you on their service. Quantcast provides in-depth demographic measures such as age, gender, income, education level and family makeup. It also provides in-depth behavioral measures such as business interests, news preferences, and food/drink affinities. Here is a free guide for creating buyer personas that better explains Quantcast. Target new demographics on Facebook. After you’ve installed Google Analytics and Quantcast you’ll have a wealth of information on the demographics and behavioral traits of your borrowers. Hopefully, you’ll be surprised by some of your findings; that surprise means you may have some untapped markets you can reach into. Try expanding your reach on Facebook. Facebook continues to roll out new methods for targeting your segment – and as people are spending a lot of time on Facebook it’s likely some of Facebook’s targeting will work for you. Here’s a guide for using Facebook targeting. Put live chat on your site. Live chat gives you another method to see who is coming to your site. It’s often the norm that businesses put up a website and simply expect it to do its job with little intervention. Depending on your industry and product, that may be a fine approach. However, it’s always beneficial to know who your site visitors are a little more, what they’re looking for, and how you can improve your online presence to help them better buy your product. Those are all things that live chat will help you get insight into. Here’s a great free live chat tool that we actually use here at Lendio. Ask for feedback. I’m sure you’ve seen it as you surf the web: the little popups or buttons requesting you submit feedback. These work, and that’s why so many people use them. Asking for feedback may seem like it would be annoying to your visitors, but when is the last time you left a website because they asked for feedback? VisitorEngage is a great free tool that will allow you to put a feedback button on your website. Residential Construction and Remodeling – After analyzing past jobs, you see that basement finishing gigs within certain zip codes generally paid more to have you install a sump pump in the basement. Upon further evaluation, you see that these zip codes are in close proximity to a lake with higher water tables. So, you create a basement finishing package that always includes a sump pump installation. Then you purchase Facebook ads targeting that area with this particular offer. Restaurant – Upon completing a series of customer surveys and mini-focus groups you recognize that many of your customers come to your restaurant over a neighboring competitor because you’ve got Coke products on tap and they don’t. You start advertising this and set up a fun promotion targeting your competitors customers with a “Free Coke Fridays” campaign. include upgraded water features and you see that you’re benefiting from more business and an increase in purchase revenue. What industry are you in? If you’d like a custom recommendation as to how you could use segmentation comment at the bottom of this article and we’ll do our best to give you some great ideas! Please just be sure to mention that you’d like a suggestion of how to use segmentation and include what industry you’re in. Identifiable – if you can’t accurately and relatively easily identify your segment and assign customers into those segments then your segmentation is likely too complex. Accessible – after you’ve identified your segment, are you able to reach this segment? If not, you need to find a different segment or change businesses. Substantial – it’s tempting when building segments to go all in and create a lot of small segments. How many customers will that leave for each segment, though? If it’s not a substantial sized group then it will likely not be worth your time. Error on the side of generating larger, more substantial segment sizes. Differentiable – it’s important to make sure your segments also have varied enough needs or desires that they are different from customers within other segments. Stable – another important aspect is that any segments you create are stable, meaning that a customer who fits into a segment today will likely still be in that segment in months and years to come. This will ensure your efforts spent on this segment aren’t wasted on a moving target. Actionable – if your segments are ones that you can’t do any customization or targeting towards then it’s not worth your time. Note: This segmentation must haves come from the Marketing Management textbook by Kotler and Keller, pages 231 and 232. Buying process variables: who the purchase advocate is, who are decision makers, centralized or decentralized purchasing, any special policies? Categorize variables into who, what and why. Once you’ve got a good understanding of some of your data points and how they may affect purchasers, it’s important that you split these different variables into categories of who, what and why. Who are the customers? What makes that customer or customer group unique? Why do these customers make the purchasing decisions they do? Understanding which of these buckets your variables fall under will help you better target and segment. If you find a strong correlation in a “who” variable it’ll likely define your actions for demographic profiling. If you find a strong correlation in a “what” variable it’ll likely define your actions for a behavioral target campaign. If you find that a variable fits into the why stage you’ll likely need to target based on process changes for different segments. Gather initial insights and then fill your segment buckets. 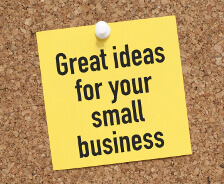 The above section highlighting “ideas for online businesses” gives you several ideas on how to gather this information. After you’ve gathered the data it’s important that you start segmenting customers into their own buckets and then targeting them specifically with your actions or advertising. A good customer relationship management (CRM) tool is important in this stage because it allows you to store actual customer data and include them in specific segments or lists. If you don’t already have a CRM, then you absolutely should sign up for one. Salesforce is the leader in the space, ZohoCRM is a good and more affordable option, and Hubspot offers a completely free CRM. Imagine you needed to purchase a new ironing board from your local Wal-Mart. Would you want to go into the store, wander aimlessly through maddening crowds, be confused over which height of board you need and then wait in an hour long line? Or would you rather walk in, have someone with the appropriate board waiting for you at the front door and tell you that they’ve already charged it to your card on file so you could leave before even fully entering the store? Segmentation empowers these optimal shopping experiences. Would you rather open your mailbox to a handful of non-relevant junk mail, or to offers and coupons for products you actually use? When purchasing new clothing have to sort through the dozens (or hundreds) of available styles available to you. Do you prefer this endless sorting or simply having the right fit clothing item handed to you? Wouldn’t it be awesome if your realtor knew, simply because of your history and preferences, which neighborhood and house you’d feel most comfortable in? How about if the company that changes the oil in your car had insight into when you needed a change, came to your place of employment, changed the oil and billed your credit card without interrupting you? What if the travel site you shopped on knew that you were more likely to prefer a certain type of lodging and so they served up the relevant matches before you even asked? Those are just a few examples of why segmentation can be both beneficial to the customer and increase purchase revenue for you at the same time. If advertising, use networks that are members of the “AdChoices” coalition. All your major advertisers such as Google Adwords and Microsoft Bing are already members. 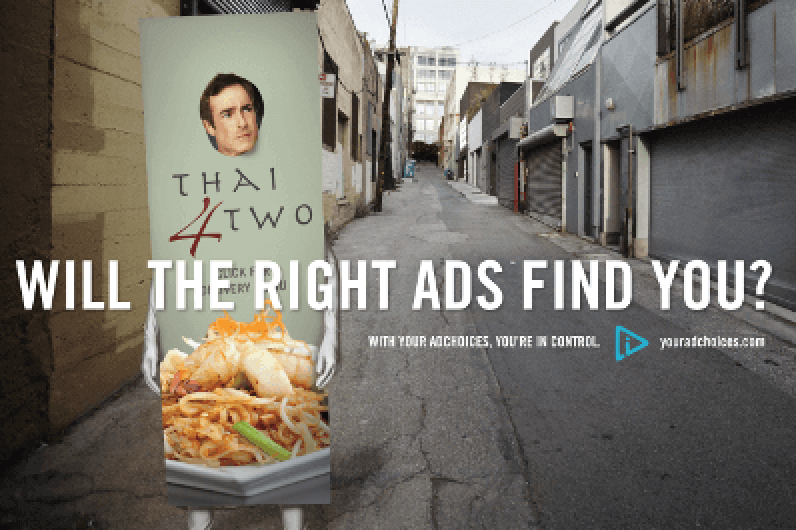 This AdChoices tool allows your prospective customers opt-out or tailor their advertising experience. Don’t be creepy. Be real. Be helpful. Think to yourself “is this segmentation and targeting going to be beneficial to my customer?” If the answer is no, don’t do it. Don’t store sensitive data. Usually, if the data is personally identifiable (name, email, phone, credit card number, etc) then you should try not to store it. Segmentation could be done off of other identifiers, such as a frequent shopper card. Don’t use targeting to be prejudicial. For example, if you’re a Realtor and you determine that your home buyer may be more comfortable in a certain neighborhood because of that person’s race then you’ve just violated the equal housing opportunity law.